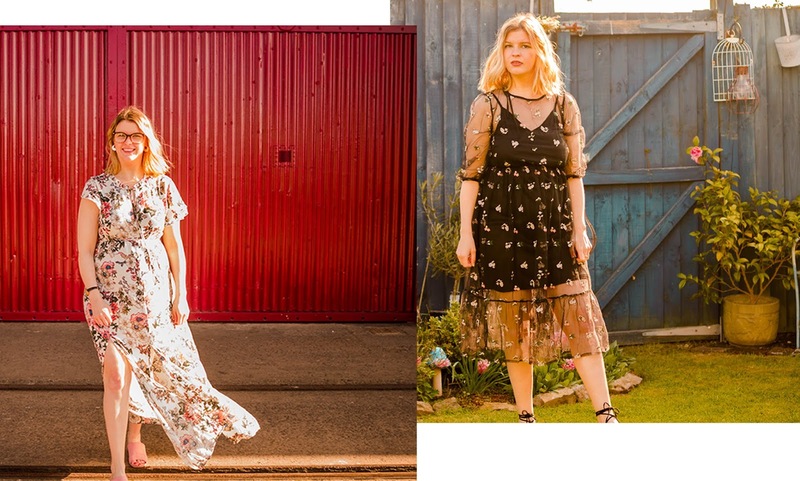 I'm sure many beauty lovers will agree with me, that when Autumn comes around we all begin to feel a little braver when it comes to lip colours, and away go the the pink, nudes to be replaced with deep reds, and dark berry colours - personally I love autumn make up, and I feel much more comfortable in a dark berry lip, rather than a natural lip - it's just not really me. Just a little warning before you read anymore - I would say the swatches look slightly different through the camera lense - so if you like the sound of a lips colour from my description you might be better to go off and swatch it yourself than only refer to my swatches! Let's start with the most pricey of the five. Chanel Rouge Coco in the shade 21 Rivoli - this lipstick is a lot more high end than the rest of the lipsticks here, costing £25. This is definitely a lipstick for if you're willing to spend a little extra, and looking for high-end luxury. 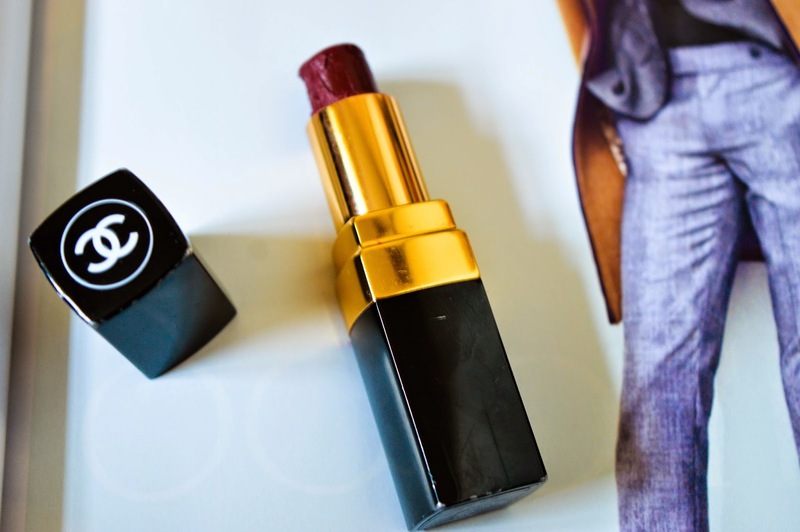 As you can see this lipstick of mine is well loved, and slightly battered - it has been through the wash and thrown into a million different handbags, however, this is only because it is one of my favourites go to lipsticks. This is the darkest lipstick I own, so only really comes out this time of year. I'd describe this colour as a dark plum. It has a brown, purple tone to it. 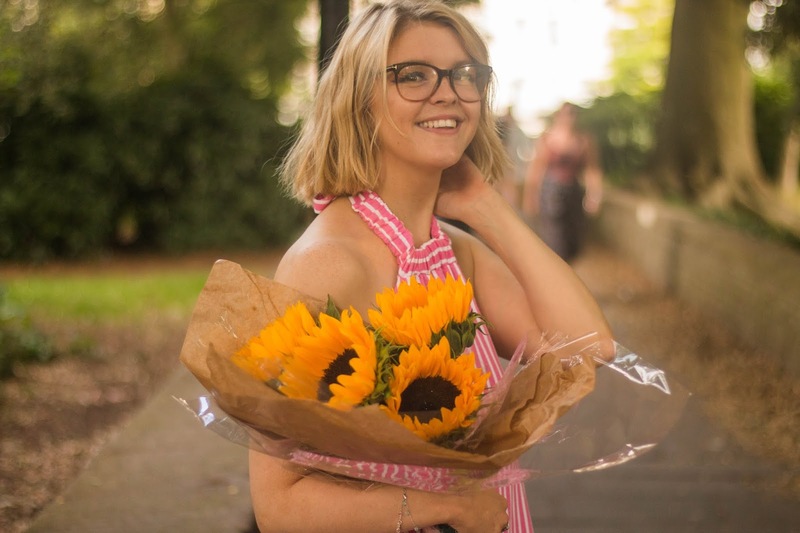 I love this colour for this time of year and want to invest in some more similar shades. This lipstick has a slight shine to the finish, which I like with a darker lipstick as I feel it gives it a more feminine edge. 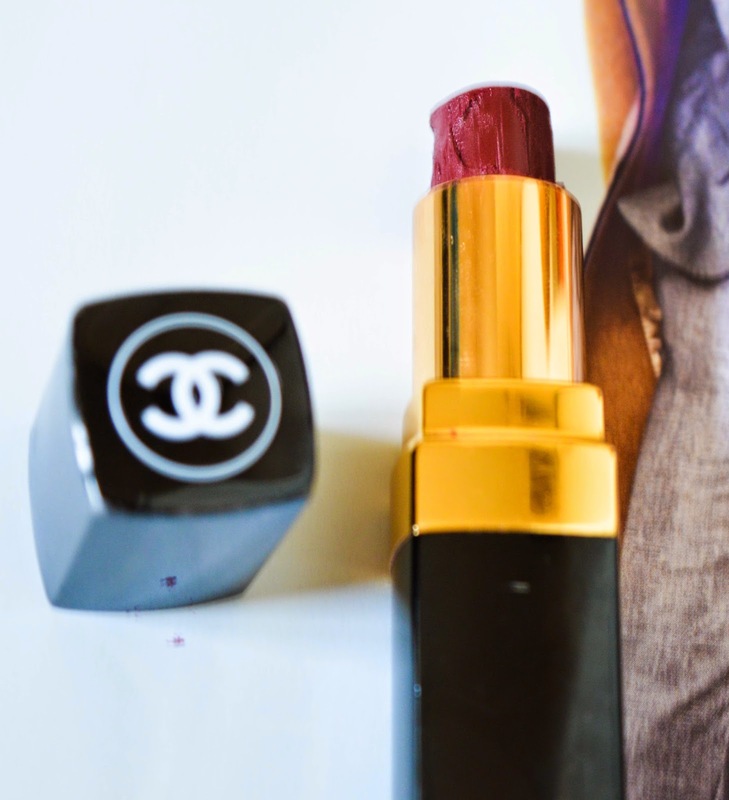 I really like the formula of Chanel Lipstick, I find them really moisturising and long-lasting. 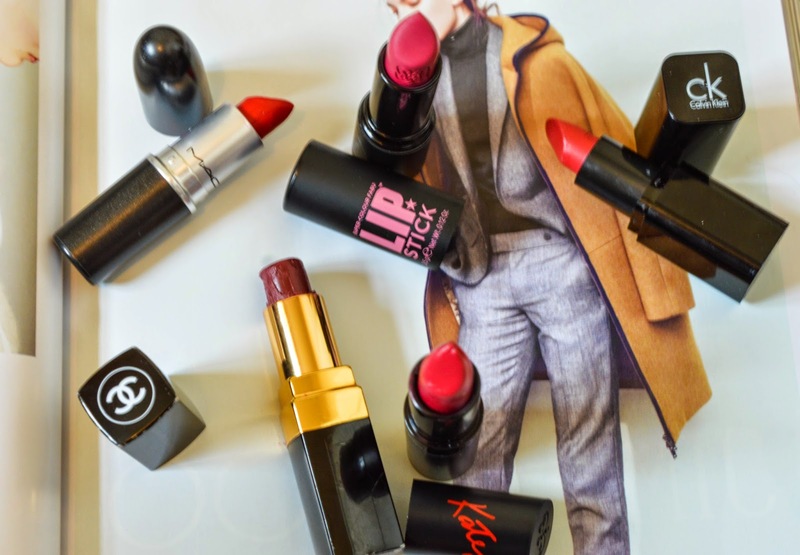 I also love the packaging - I think with Chanel lipsticks you can see the difference from a high street lipstick, and I don't mind paying the high price tag with a Chanel lipstick because so far I have not been let down by one. Next up I have a MAC lipstick, it is the famous Ruby Woo. I'm going to keep this one short because I'm sure every blogger and their dog has spoken about this lipstick. It's a matt 'postbox' red shade. Being MAC it is slightly more expensive at £15.50. The shade is something I go for if I wanted a classic red lip. 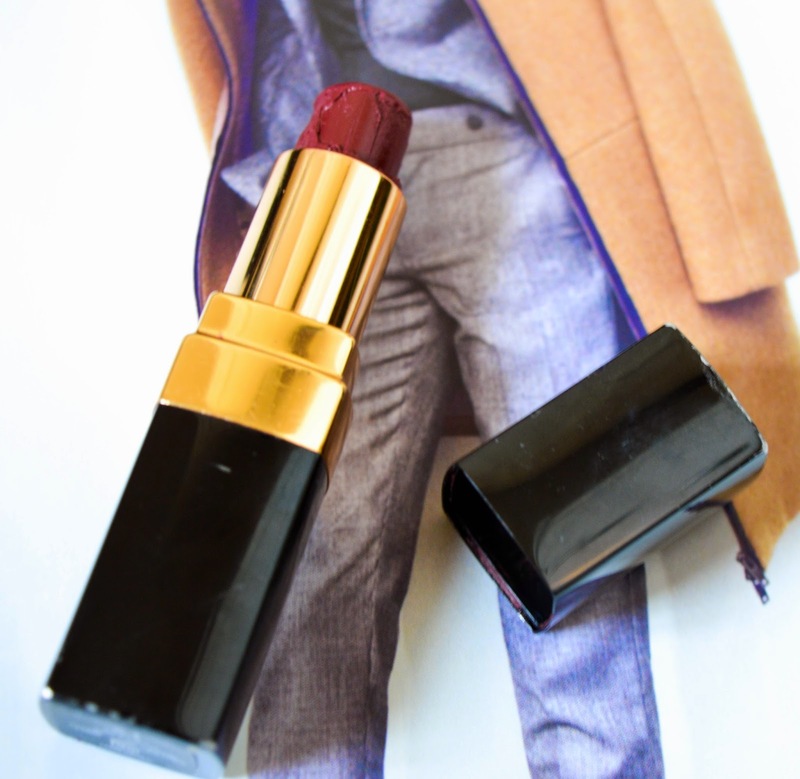 Being a matt formula, I do find this lipstick quite drying, however it is very long lasting. 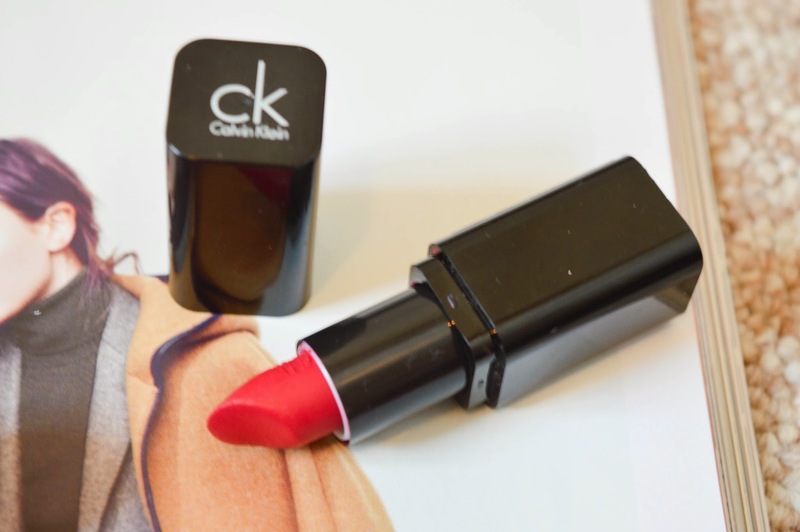 From Calvin Klein, I have a lipstick in the shade Eros, which I bought from Fragrance Direct rather than straight from Calvin Klein, so I didn't pay much for it (I can't remember exactly how much). This lipstick is slightly more natural than the other two. I'd say the shade was a muted berry colour with a blue undertone, which I think is perfect if you want a more understated lip this time of year. Another recent favourite of mine this the Soap and Glory Lipstick in the shade Pom Pom. The shade is quite similar to the shade of the Calvin Klein lipstick, however, I'd say the Soap and Glory lipstick is slightly deeper and has more of a purple tint to it creating a slight more statement lip for day to day wear. This is my first soap and glory lipstick, and I am really impressed, I will definitely be trying out some more of their lipsticks. To me I find this lipstick feels much more expensive than it actually is. The packaging is nice, the lipstick is moisturising and fairly long lasting, and it even has the Soap and Glory indent in the lipstick. 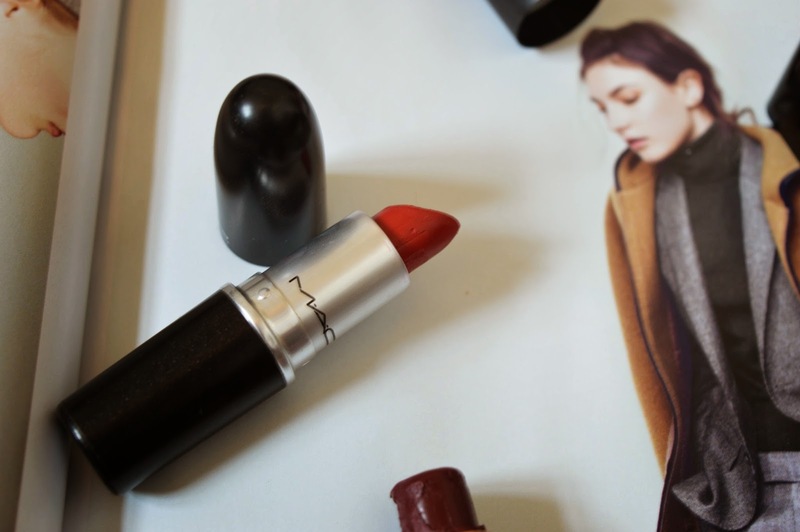 What I really like about this lipstick, is that although it is a matt shade, the formula is not too drying - unlike the MAC lipstick I spoke about earlier which you pay a lot more for. Lastly is more most recent lipstick purchase. 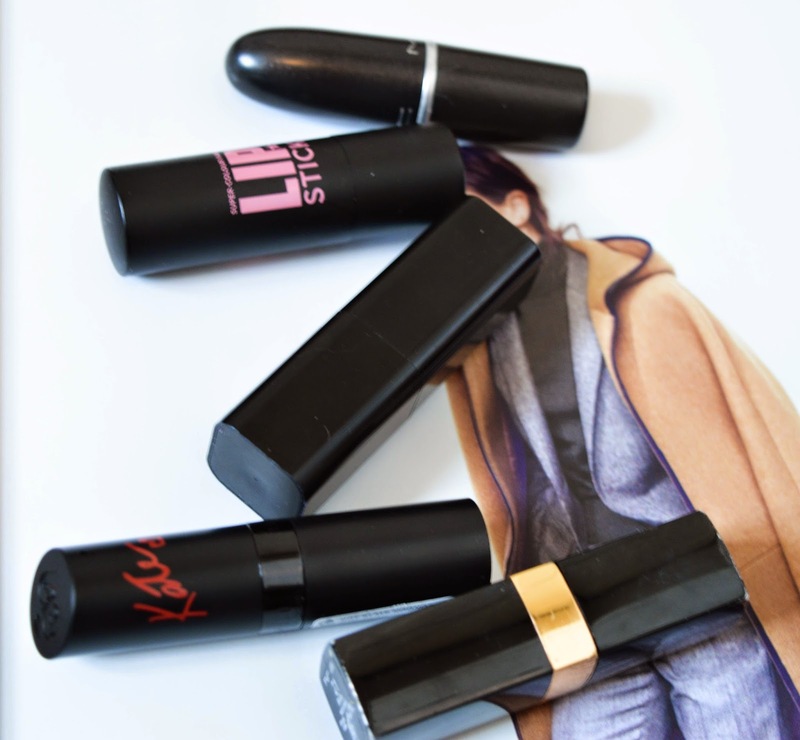 It's the Rimmel Kate Moss Lipstick in the shade 31. I have been wearing this lipstick a lot since I bought it. It is quite similar to the last two shades I spoke about (I'm really enjoying a muted berry lips at the moment!) but it has a slightly redder tone to it, creating a bolder casual lip. 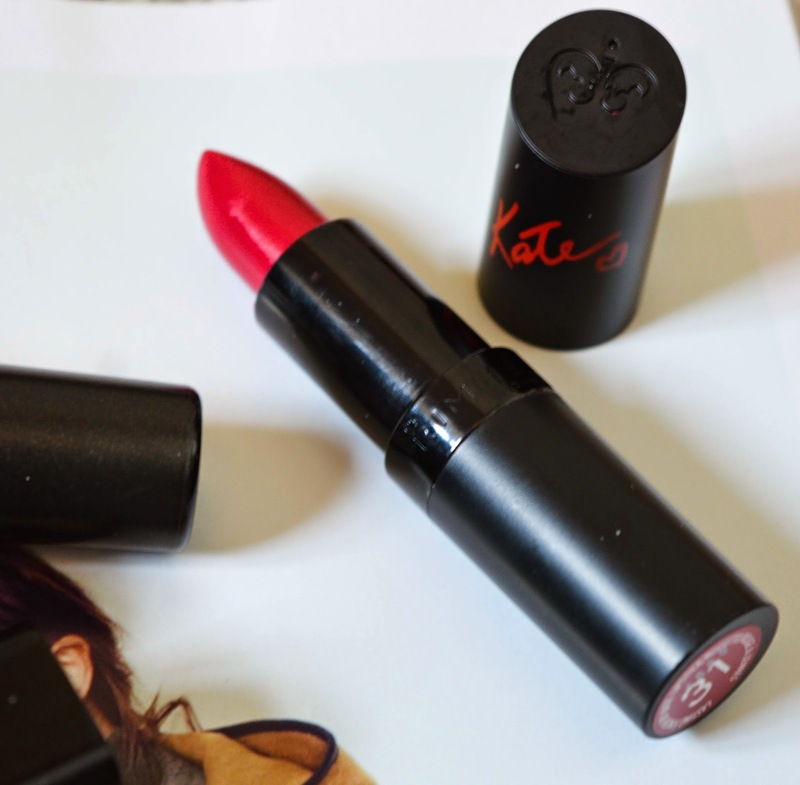 This the first of the Kate Moss lipsticks I have tried and really like it so far. 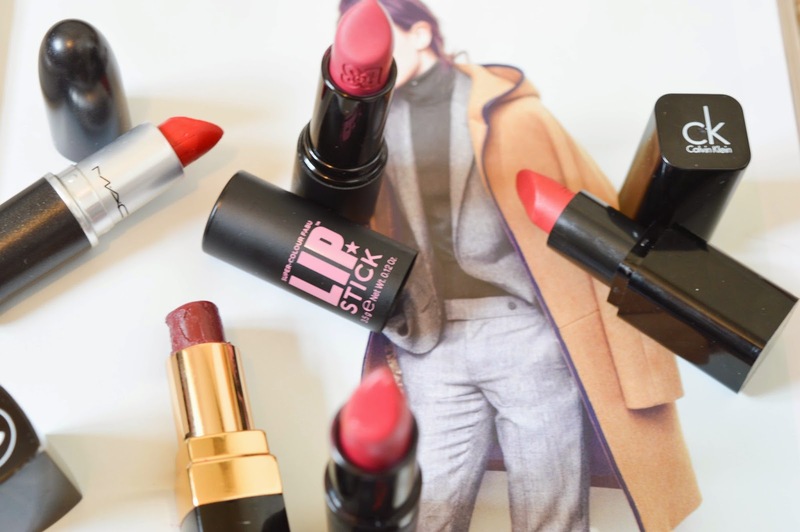 What have been your favourite lipstick recently?